DAVID LE/Staff photo. 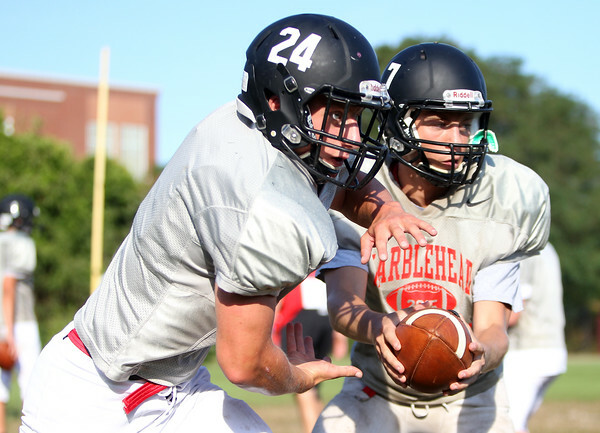 Marblehead running back Jeff Stern sweeps outside during a drill at practice on Wednesday afternoon behind Marblehead High School. 9/16/15.